As far as the actual usability of the software goes, the Fleetmatics Now interface is very easy to use and navigate. The Fleetmatics Reveal platform looks similar, but can be slightly more difficult to use and navigate. It’s definitely easier to navigate than Networkfleet, but Navixy software or Visirun is far easier than Fleetmatics Reveal. For those using the more advanced features in Fleetmatics Reveal, navigation of the software at times can be counterintuitive in certain areas such as alert creation, geofencing and pulling up specific vehicle information but is still a decent option overall for advanced fleet management. When it comes to pricing on the actual units/service, Fleetmatics in one of the more expensive providers on the market, right along with Networkfleet. The service is around $30 per month, per device, however this does include the hardware up front at no cost to the customer. There are definitely more cost effective options on the market though such as GPSWOX which charges one flat rate for a certain amount of tracking units, and even has an option for tracking unlimited units for a low one-time cost. 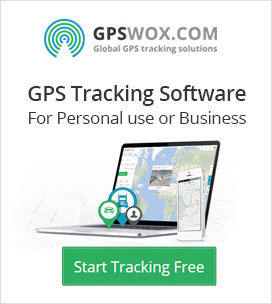 This is definitely something to consider if purchasing a substantial amount of devices and realizing the recurring costs associated with owning a GPS tracking server. Overall Fleetmatics is a well respected company, which offers a solid fleet tracking platform with a variety of options for business owners to manage their fleets. However this does come at a substantial monthly cost to maintain the service, and there is also a lack of 24/7 customer service. I wouldn’t rule out Fleetmatics completely because of any of this, and if you enjoy the software it may be worth considering, but there are definitely cheaper options available that can provide the same level of service.